The good news: A supremely gifted superstar center who has missed every minute of what has already been a pretty fun NBA season is nearly ready to return to action. The bad news: The happy and light-filled days when we are able to pretend that teams other than the Golden State Warriors have a realistic chance of winning the title are fast drawing to a close. 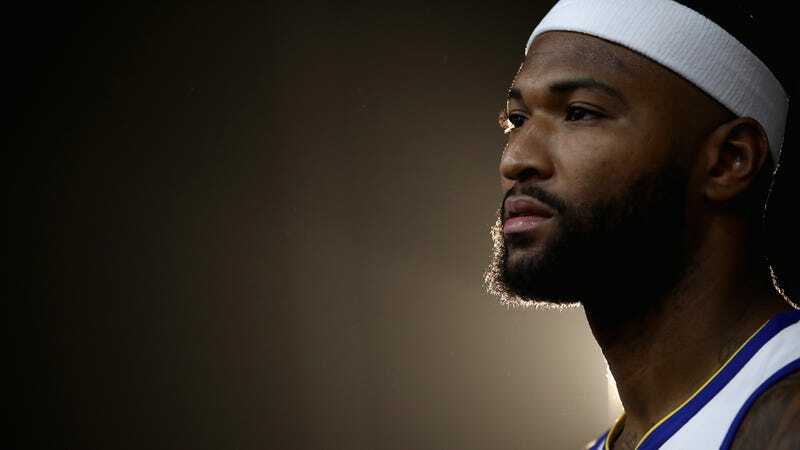 Cousins will not be the rampaging force of old—not right away, anyway—when he hits the floor against the Clippers, nearly a year after suffering one of basketball’s most devastating injuries. Achilles tears are serious business, and as often as not players returning from them are greatly diminished. But even a diminished Cousins is at least in theory a talent upgrade over Kevon Looney, and anyway the timing of Cousins’s return is great news for the many herbs whose rooting interests depend somewhat on the Warriors figuring out their center spot. The All-Star break will still be a month out on the NBA calendar, and Cousins will have most of three months to get up to speed and integrate himself into Golden State’s rotation before the start of the playoffs. Considering the significance of the injury and the team’s needs at center, 37 games is about as much as anyone could’ve hoped for out of Cousins’s one (and probably only) season in town. If nothing else, the team will get a nice long look at how or whether he can help them in the playoffs. These being the Warriors, and this being our unbelievably cursed universe, probably Cousins will immediately go full Immigrant Song on the rest of the NBA. Of course there’s always the chance he’s a shell of his former self, and the team’s already volatile chemistry takes another step in the wrong direction, and by the All-Star break Draymond Green is riding around Oakland in a chopped-up muscle car with Kevin Durant’s head on a pike. One can always hope.